Observation - Unknown Ducks - UK and Ireland. Description: These 2 birds appeared much smaller than the Wigeon which were also present. Almost like ducklings. Any ID advice would be most welcome. 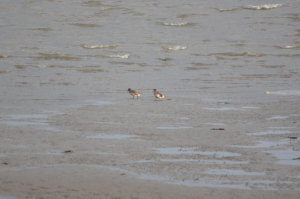 These 2 birds appeared much smaller than the Wigeon which were also present. Almost like ducklings. Any ID advice would be most welcome.